I’ve written previously about my skepticism regarding the use of fMRI to localize a function in the brain. Multivariate pattern analysis (MVPA) is commonly used to detect subtle differences in patterns of brain activity in fMRI data. This post articulated the misleading potential of MVPA really clearly. In the new paper, Todd et al make a very simple point: all MVPA really shows is that there are places where, in most people’s brain, activity differs when they’re doing one thing as opposed to another. But there infinite reasons why that might be the case, many of them rather trivial. The authors give an example of two similar tasks, imagining apples and imagining bananas. Although standard fMRI analysis might find no significant differences in activation, an MVPA might reveal one area in which the different tasks produced differing patterns of activity (differences in blood flow). At first, it might seem that the MPVA revealed the area of the brain responsible for encoding specific fruits, but this conclusion overlooks context. Every person has had different experiences with apples and bananas. Maybe the participant likes one and not the other. Maybe he ate a banana right before participating in the study and therefore has bananas on his mind. The potential contextual differences in experiences that any individual has had with the two fruits is endless, and would lead to an apparent difference in individual activation patterns for different tasks. 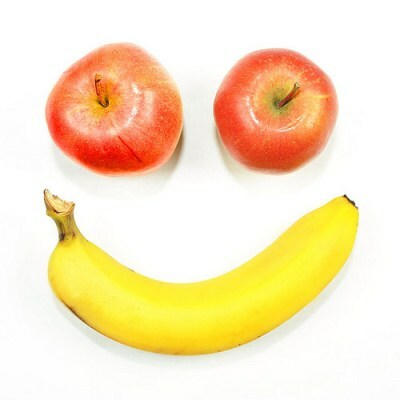 Apples and bananas are linked to different experiences and thoughts for everyone. Here’s another way of looking at the hypothetical task (image below). For Participant A (the dark line), task A (imagining the apple) requires more concentration than task B (imagining the banana) does. For Participant B, the difficulties are reversed. Normally, these individual differences would cancel each other, demonstrating no significant difference between the brain activity when people imagine apples and the activity when they imagine bananas, but MVPA is designed not to allow individual differences to cancel each other out. The authors of the original paper suggest that MVPA confounds can be controlled by classical Generalized Linear Model (GLM) analysis or by post hoc linear regressions, so I don’t take this as a sign that MVPA or fMRI data aren’t meaningful, but more of a warning to be very cautious when interpreting them. Further, I take it as a reminder of the importance of context- we’re all such different creatures and our vastly different experiences inevitably color our cognition and behavior.